Planning for TISC’s Big Team Regatta 2014 is under way. Sponsors and donors are signing up. Check out these three kids’ stories from last summer’s program. And the life lessons that accompany them – even better! There are many ways you can support BTR – mark your calendar for Friday, Sept. 26th – later this year. Sign up to sponsor a team of four racers. Make a financial donation. Provide a gift-in-kind. Every dollar we raise through sponsorships or save through gifts and donations to help defer regatta costs is another dollar that goes to our scholarship fund. In addition to sponsorships and donations, our team counts on massive volunteer support throughout the entire day. Jobs that must be filled include morning set-up and registration, breakfast, lunch and dinner help and final clean up. If you can help for even a couple hours let our team know the time best for you. OCSC for their support, guidance, boats, coaches, and facility that was race headquarters for BTR 2013. Of course the BIG WINNERS from Big Team Regatta, in addition to the teams who participated last year, are the kids who learn life lessons sailing at TISC as a result of your support for our scholarship fund. Here are a few examples of the smiles from those kids. After meeting at our Family BBQ, Isabella (age 9, San Francisco) and Siyani (Sisi, age 8, Oakland) were excited to learn how to sail together during summer camp. On the first day of camp they stayed close together as instructors reviewed sizing a wetsuit and lifejacket, safely capsizing and righting a boat, and knot tying. They tackled each activity with enthusiasm! Once on the water, one steered the boat while the other trimmed the sails, and then they would switch. Sisi’s sense of adventure and Isabella’s calm demeanor made them perfect teammates. Through sailing, they learned the value of teamwork and how to effectively communicate to get through challenging moments like getting out of irons or gybing in windy conditions, all while having fun and creating lasting memories and friendships. 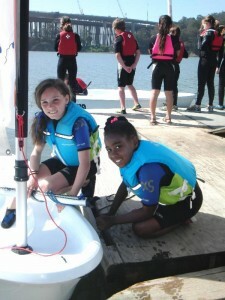 Ziggy (age 9, Oakland), came to TISC with great enthusiasm for sailing. In the first week, although he achieved his sailing goals, he struggled to listen to the instructor and not be disruptive to others. With support from instructors he set his second week goals around making an effort to improve and focus his energy on positive behavior in order to gain his Level 1 certification. He began to help others with rigging and de-rigging the boats and at lunchtime, he helped another student clean up the lunch deck after eating. When he saw another student struggling in class, he was the first to ask what he could do to help. By the end of the week, his focus and positivity allowed him to achieve his goals and he received a Level 1 certification! 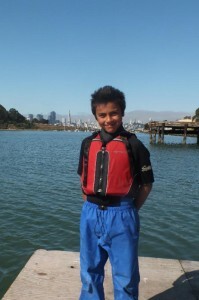 Josh (age 12, Oakland) had never sailed before attending TISC’s summer camp. Josh learned to sail quickly and moved into our intermediate class after only two weeks. While he was a talented sailor, Josh stood out for his willingness to help and encourage his younger and less confident classmates. TISC provides the opportunity for youth like Isabella, Sisi, Ziggy and Josh to learn vital life skills to help them succeed not only in sailing, but more importantly in real-world situations. 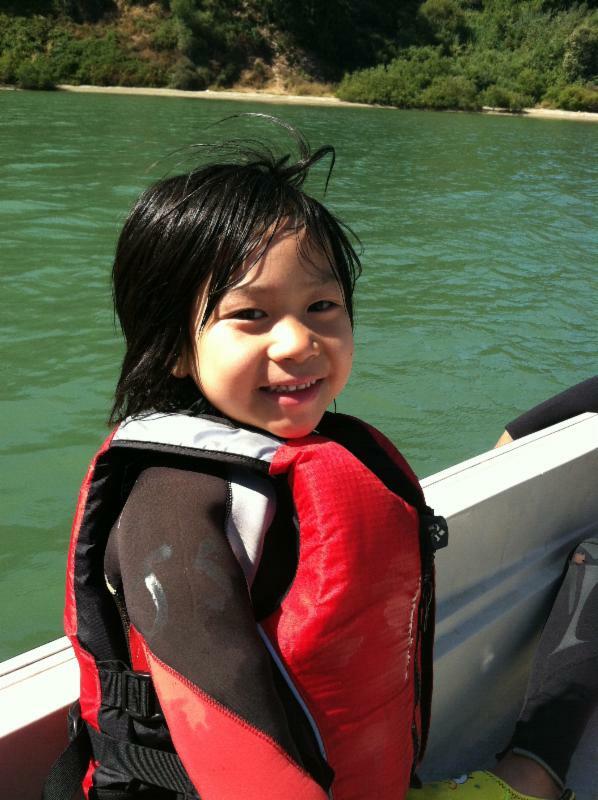 Every $300 we raise sponsors a young sailor for a whole week of instruction; $500 enables a youth group of 25 individuals to enjoy a half day of sailing with us learning about the wind, water and respect for SF Bay. If you have special skills, would like to help out with a donation in kind for the September 26th Big Team Regatta or simply want to get involved at TISC, let us know. You may call our office at (415) 421-2225, let us know via email at info@tisailing.org, or connect with us on line with your special skills or interest. This entry was posted in Uncategorized and tagged Big Team Regatta, Fine Foods at Home, Gorgeous and Green, House of Bagels, Lagunita Brewery, OCSC Sailing School, Peets Coffee, TISC, Treasure Island Sailing Center, UC Berkeley Sailing Team by skippersgift. Bookmark the permalink.